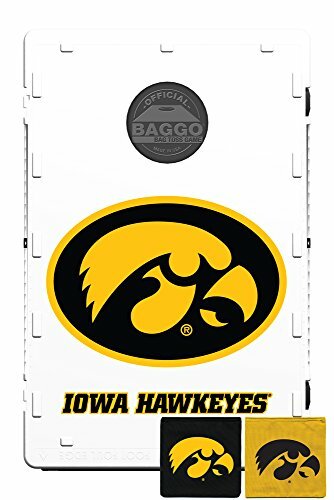 This complete BAGGO bean bag toss game features the team's logo displayed beautifully on the 2 BAGGO boards and on each bean bag. The entire game packs into itself and carries like a suitcase, making it the most portable game on the market. 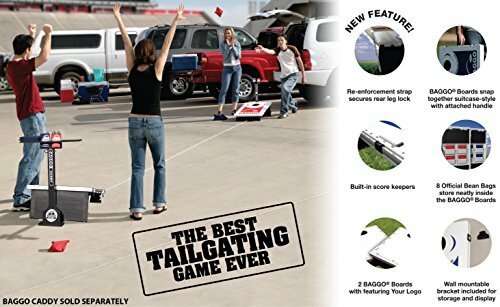 Whether it's at a party with friends, a backyard cookout or just another pre-game tailgate, no other bean bag toss game compares! 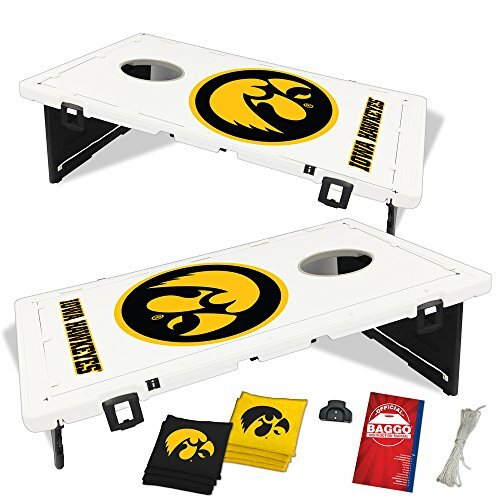 This set comes complete with: Two official BAGGO game boards with your team's logo, eight official bean bags in your team's colors (4 in each of the 2 colors), a 10-page color instruction booklet, wall-mounting bracket (for storage and display), built-in scorekeepers and distance regulator. All of our BAGGO boards have a life-time guarantee. 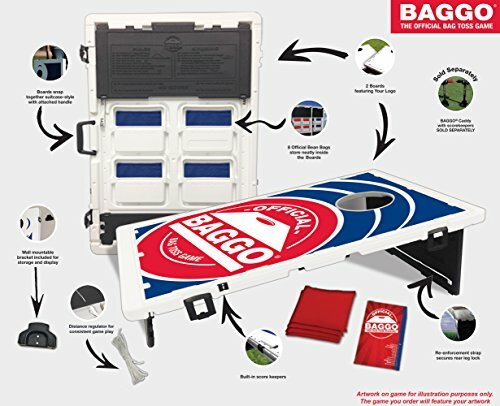 BAGGO: The best backyard game EVER!